Is Young Thug working on a new album? Strictly speaking, Young Thug enjoyed a prolific 2018 campaign, at least to an extent. Though King Slime delivered no shortage of music in Hear No Evil, Slime Language, and On The RVN, the lack of a full-length solo album was noticed by fans. Of course, such a mentality speaks to the inherently fiendish nature of the modern music listener, though that is another story altogether. Still, it's been a minute since we've heard Thug on the solo tip, though On The RVN was certainly the closest we came this year. Is it not time for the hype of a new Thugger album to begin formulating? Thug himself seems to believe there is no time like the present. The enigmatic rapper took to Instagram to preview an upcoming banger, grooving to his own music in what looks like a pre-shower ritual. Taking to a hypnotic instrumental, Thug reflects on Versace socks and popsicle diamonds for what sounds like the chorus; during the verses, Thugger switches up his cadence, bringing more urgency into the fold. From the sound of it, this one is shaping up to be a banger, though it seems to be lacking some of that creative brilliance of peak Thugger. 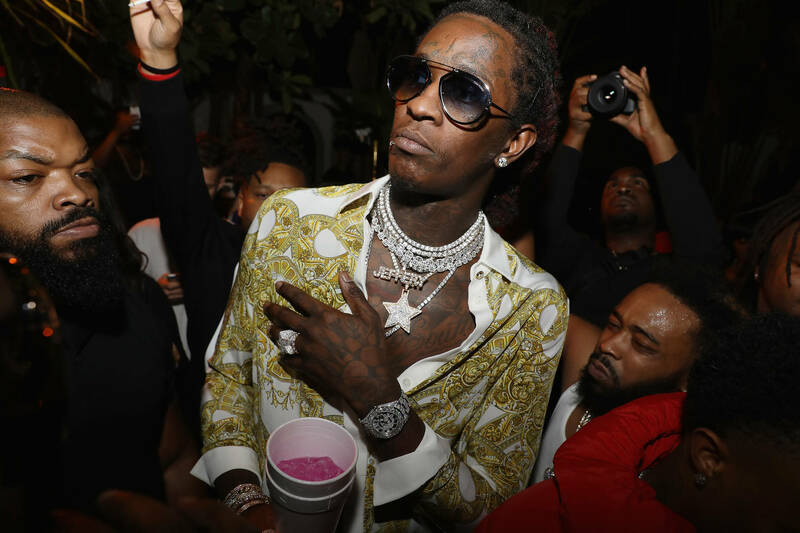 Either way, a new Young Thug album would be a welcome addition to the 2019 schedule, and we can only hope that more concrete details are forthcoming.